Color: 2 color (as picture shows) Size: 4 sizes (S, M, L,XL ) Style: Bikinis&Swimwear Note: 1. 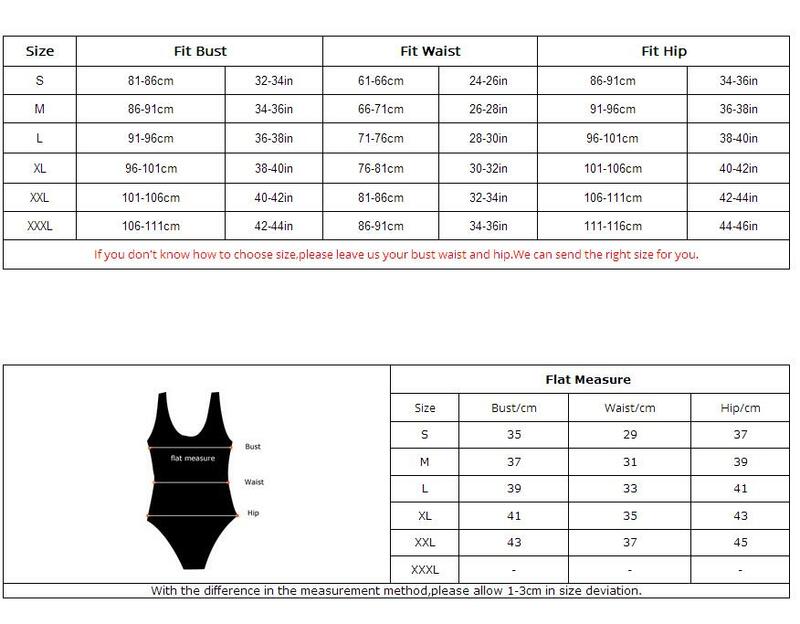 Please compare the following detail sizes with yours’ before your purchasing. 2. Item color might vary slightly, as color in different kind of computer monitors may be a little bit different. 3. Please allow 1-2cm deviations due to manual measurement. Thanks for your understanding. 4.Size is Asia size, please Do take your own measurements to choice the right size. Please note that buyers are responsible for all Customs duty and import taxes fee in your country. We will help you to declared the item as a “gift” with low value.